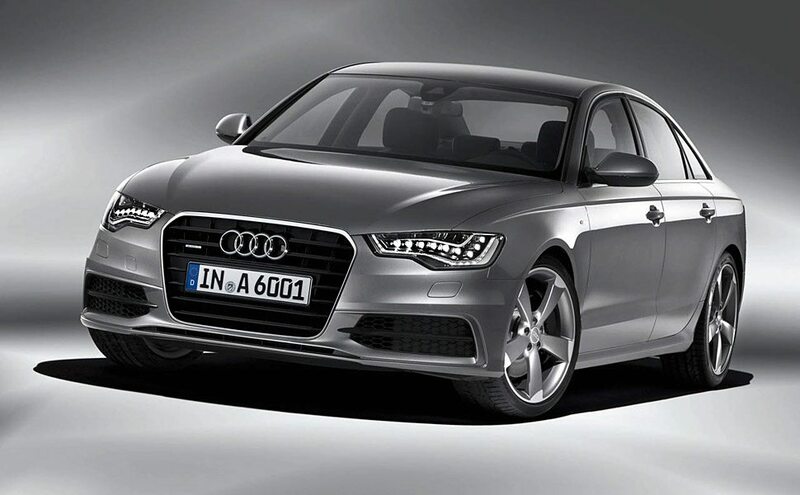 Redesigned for 2012, the new 2012 Audi A6 ($TBA) takes cues from its larger sibling the A8 but also piles on the extra toppings. The vehicle has a nice selection of power options with the option of either a gasoline or diesel engine and a hybrid is in the works. The new A6 offers up to 300 hp and a top speed of 155, a choice of a six-speed manual, CVT, or seven-speed S-tronic automatic, and options for heated, ventilated, and massage seats, all-LED headlights, an ambient lighting system, 19-inch wheels, heads-up display, parking heater, MMI touch-based infotainment system, Bluetooth, a 15-speaker Bang & Olufsen sound system, and a ton of other niceties.